JoAnna Lund presents a brand-new Healthy Exchanges® instant classic—with easy-to-use, lay-flat comb binding. Every busy cook wants to get in and out of the kitchen as quickly as possible—and still have a delicious meal to show for it. 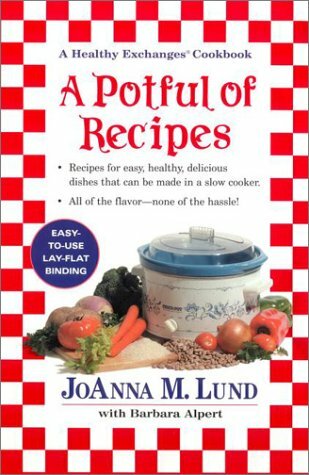 With A Potful of Recipes, bestselling author JoAnna M. Lund makes preparing healthy, delicious meals easier than ever before. All of the mouthwatering recipes in this book can be prepared in a slow cooker--which means that harried cooks will be serving meals with no fuss, no mess...and absolutely no stress!